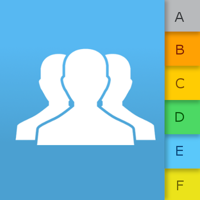 -Manage your contacts & create groups. -Quickly Send group text messages. -Backup & Restore your contacts. -Call your favorite contacts from Lock screen. -Get notified of contacts' birthdays and anniversaries. -Find & Merge duplicate contacts automatically. -Share contacts (vCard file, text format or csv file). 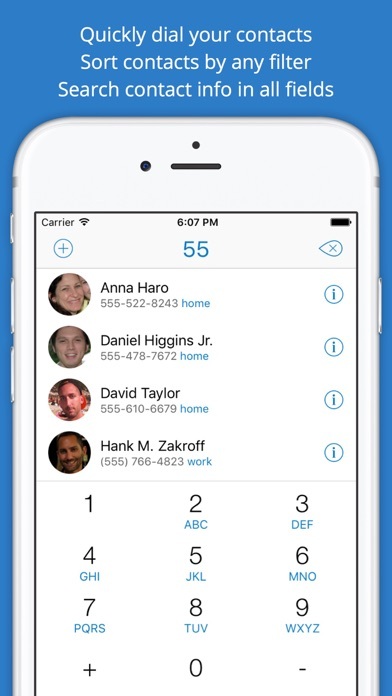 -Use a dialer that suggests phone numbers. -Delete multiple contacts at once. -Search contact info in all fields. 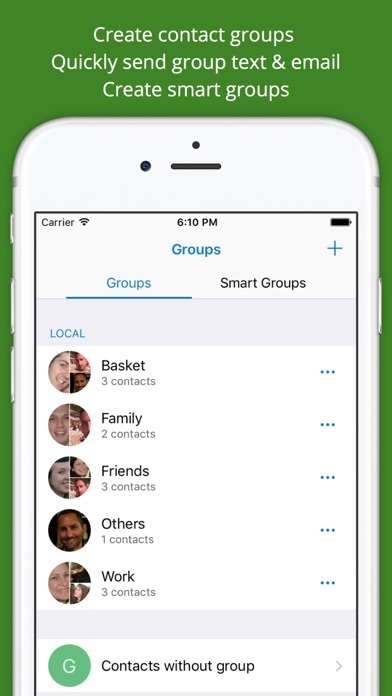 -Sort contacts by many filters. -Access recent outgoing calls from Lock screen. -View contact photos in lists. Create, edit and delete contacts! Create, rename, organize and delete groups and smart groups! Quickly access your favorites and call them by tapping on their photo from the app or the Lock screen! Quickly send text message or email to groups or all contacts without having to add contacts one by one as with the stock app! You can use message templates and attach photos to your messages! 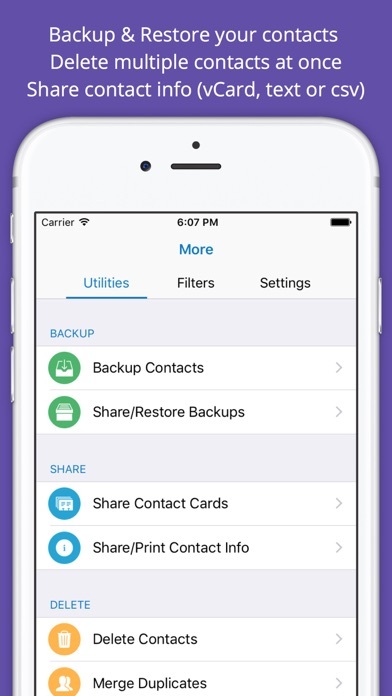 Backup your contacts, share your backup files and restore contacts at any time! Update your contacts with their latest Facebook profile pictures. 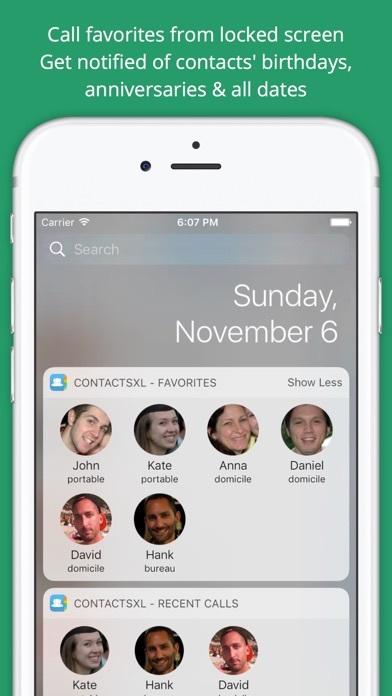 Your contacts must own ContactsXL to be updated! Find & Merge all the duplicates of your address book! 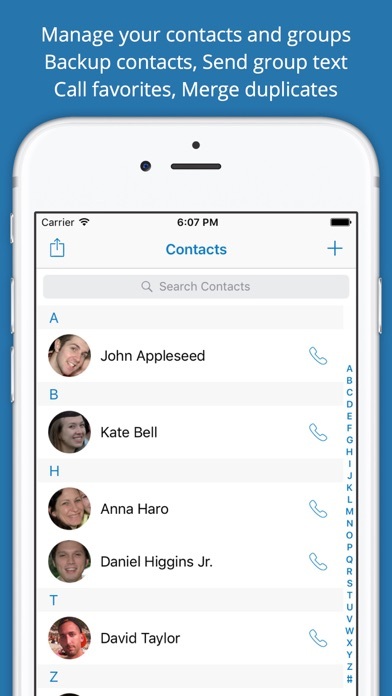 Quickly delete multiple contacts at once! Share contact info (VCard files or Text format) by choosing the fields to share! Export contacts to csv format by choosing columns (last name, company, email, ..) and their order! You get notified of contacts' birthdays, anniversaries and all other dates! Search contact info in all contact fields: phones, emails, notes, etc..! Sort contacts by many filters: company, job title, city, country, contacts without phone, email, etc..! Duplicate contact info to create new contacts faster by choosing info to keep! Simply define rules and smart groups will update automatically! All contact fields can be used and the actions are "is", "is not", "contains", "does not contain", "is set" and "is not set"! You can use "And" & "Or" rules! Quickly link contacts to events in the calendar & view incoming events for each contact! Choose theme and photos size & shape! ContactsXL is compatible with iPhone and iPad!